Why Have A Big Family? Burp Cloths & Free Stuff! Me, A Titus 2 Woman? Buzz From The Bunch (Coming April 24th, 2006) Perhaps some of the neatest people each of us happen to know, live right in our own homes! We certainly think so, and invite you to get to know our bunch of 'little Lamberts' a little better. You will have the opportunity to read the blogs, see the kids, read about their adventures and see just what being 'one of the eight' is really like! 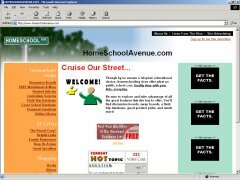 HomeSchoolAvenue.com Though by no means a 'utopian' educational choice, homeschooling does offer what no public school can: Quality time with your kids, everyday. Be sure to explore and take advantage of all the great features this site has to offer. 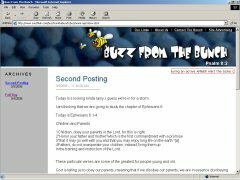 You'll find discussion boards, swap boards, a field trip database, great product picks, and much more! Copyright ©2006 Lines From The Vine. The Vine Or It's Associated Companies.